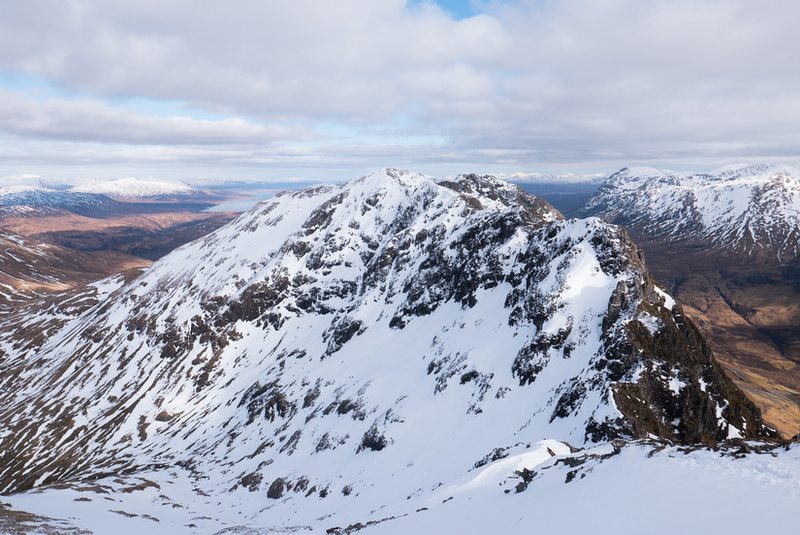 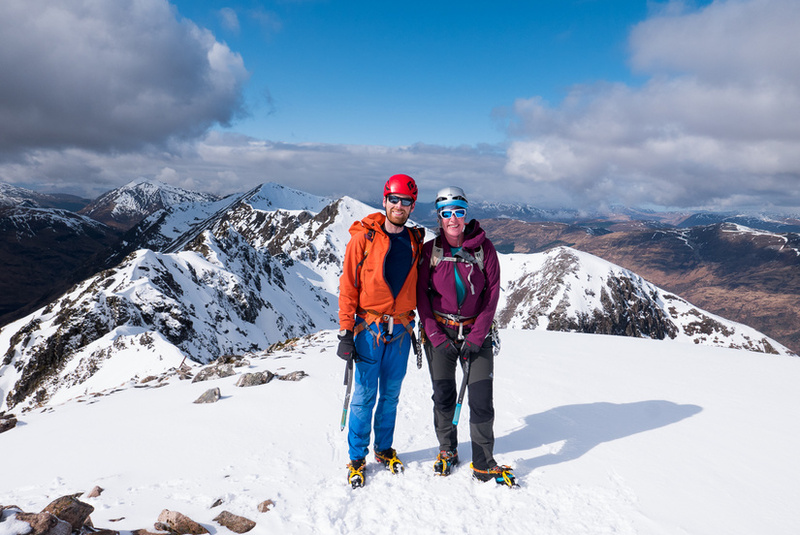 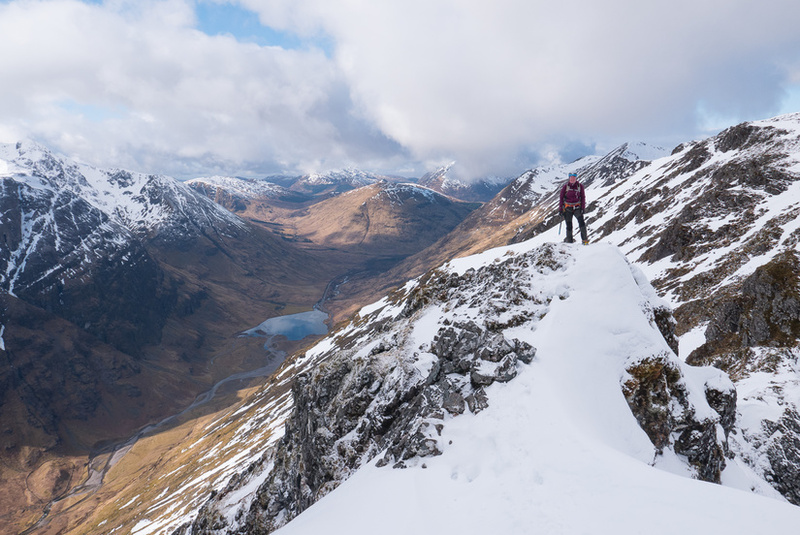 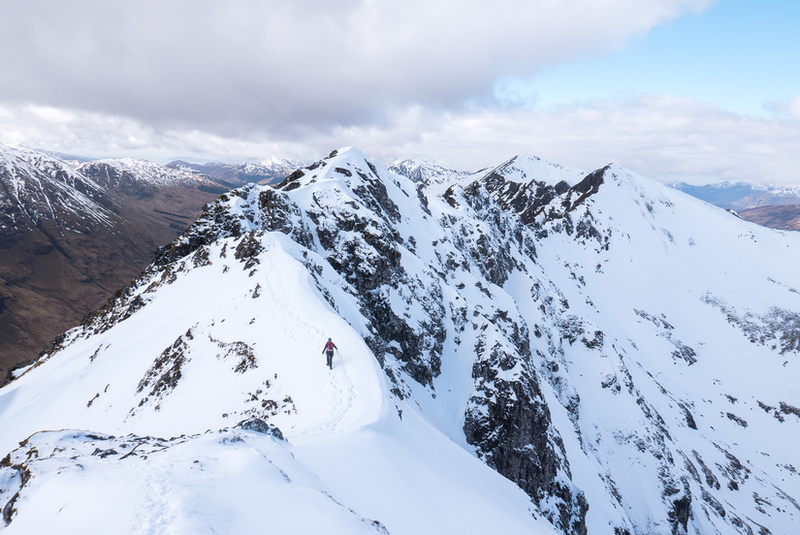 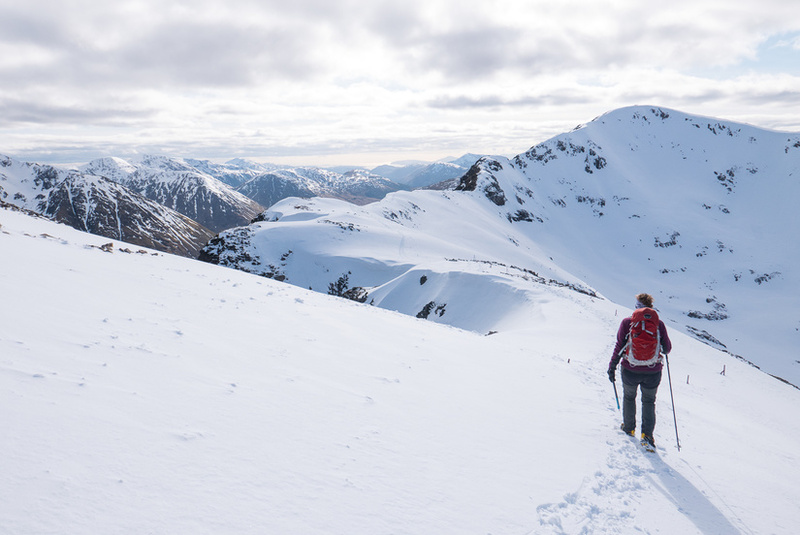 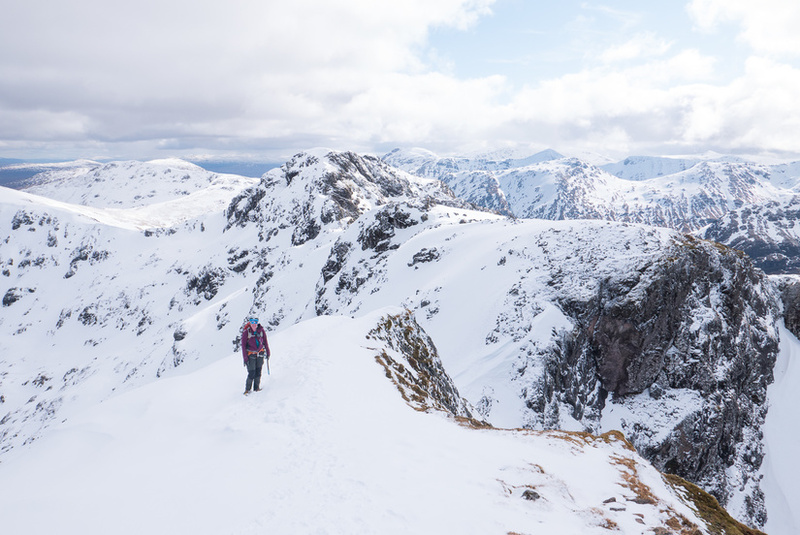 With an excellent forecast, combined with the outstanding late season conditions we decided to head up to Scotland to climb Aonach Eagach. 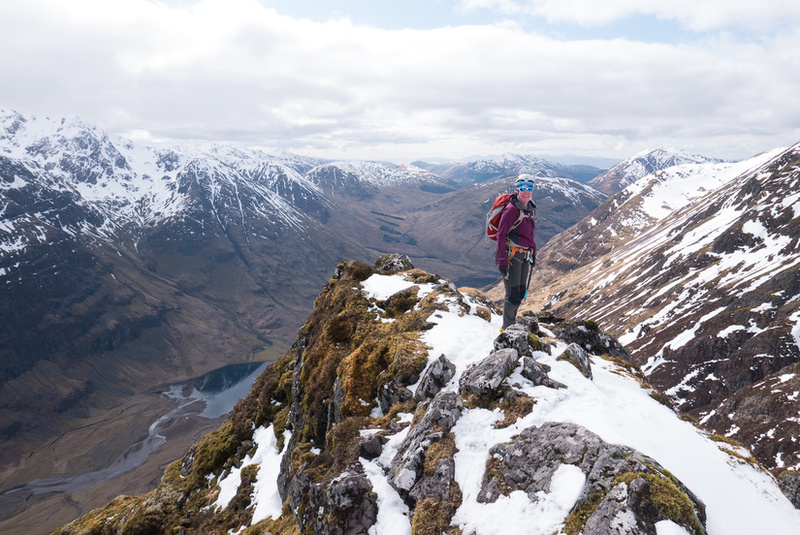 Aonach Eagach is a ridge which I have done before in summer and winter, however it has been on Becky’s list for quite some time now. 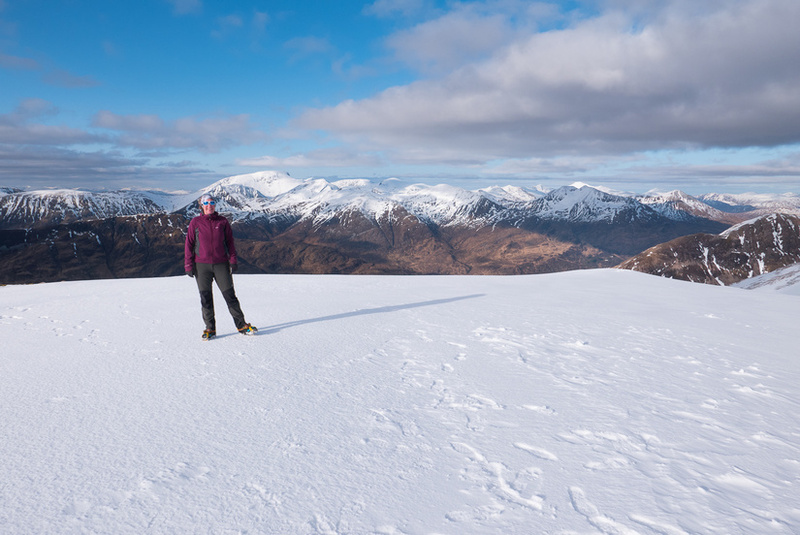 When I last climbed the ridge in winter the weather was very good, but it did not compare to the weather we had this time. 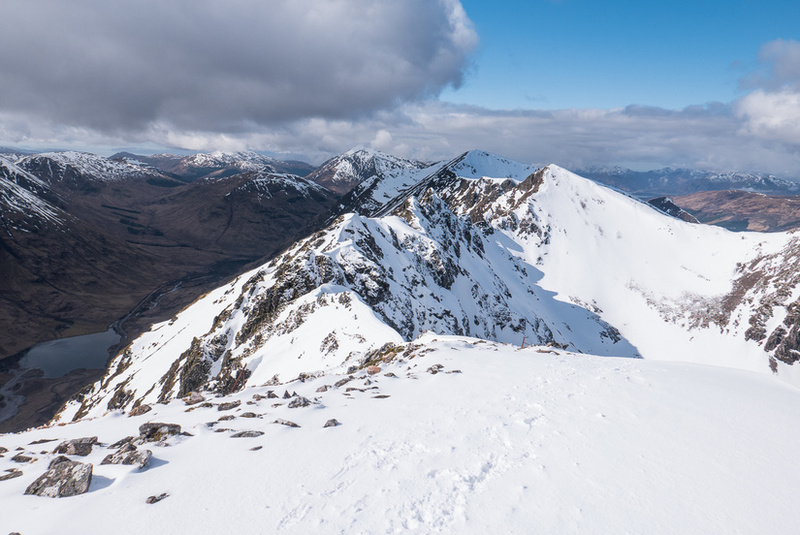 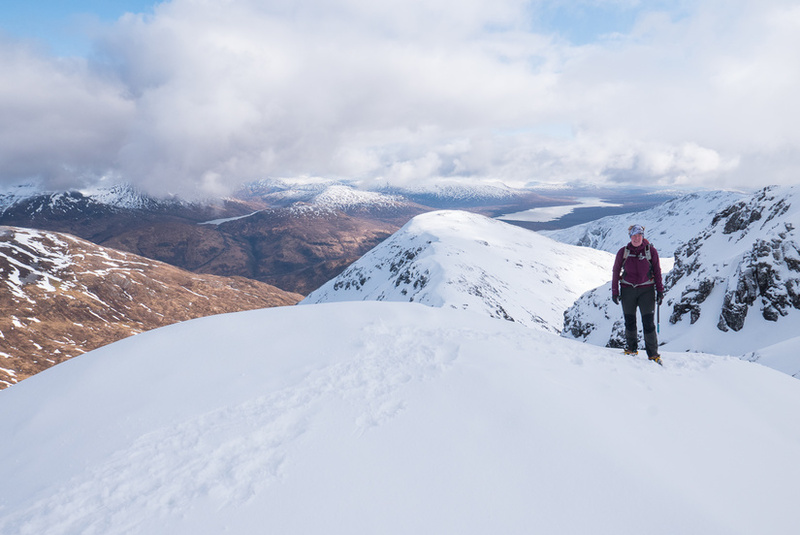 The snow underfoot was mostly firm, the ridge generally had a good covering of snow other than some of the steeper rock sections and the weather was outstanding with a mixture of sun and cloud all day, without a breath of wind. 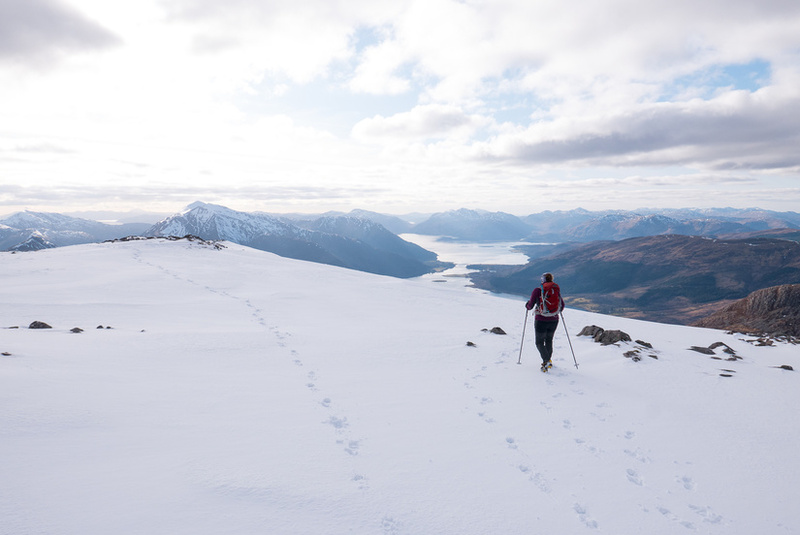 We made the most of the clocks having changed and the longer daylight and enjoyed a relatively late start to miss the bad weather early in the morning, which was a good decision based on the amount of rain as we were driving towards the ridge. 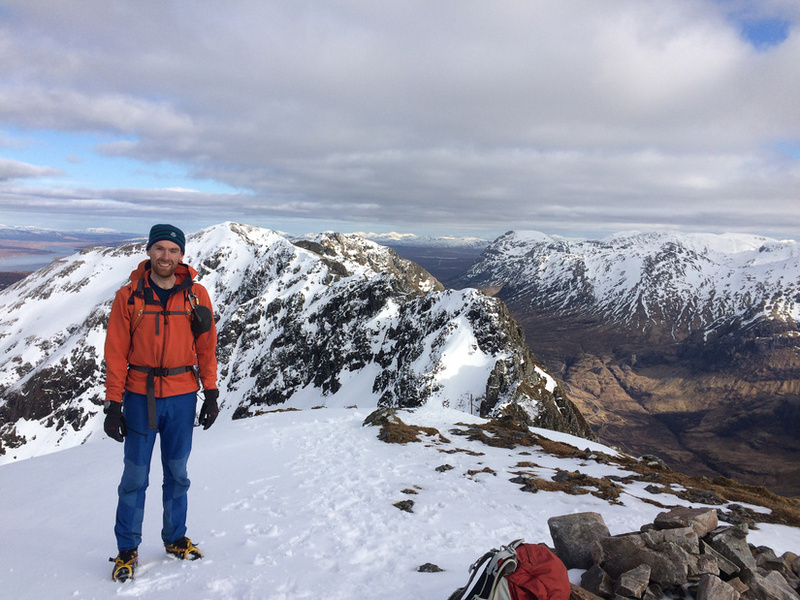 The initial climb doesn’t get any easier with successive attempts at the ridge, and felt as abrupt as ever, but thankfully it is over fairly quickly and once it is completed the rest of the day is really enjoyable. 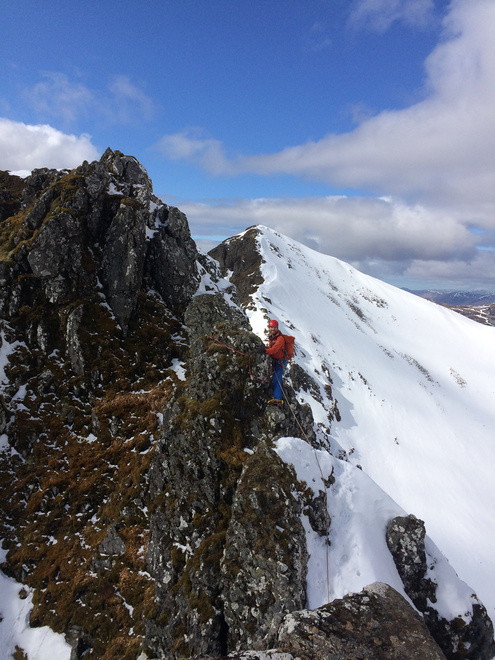 Due to the conditions we only used the rope for the abseil at the start, the crux and the section which followed the crux. 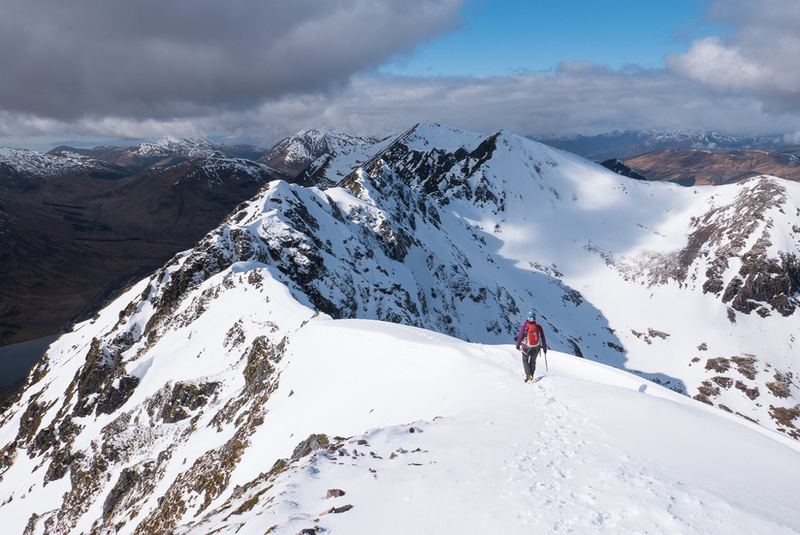 The conditions on the ridge were just superb, with excellent views in every direction, amazing scrambling and fantastic exposure. 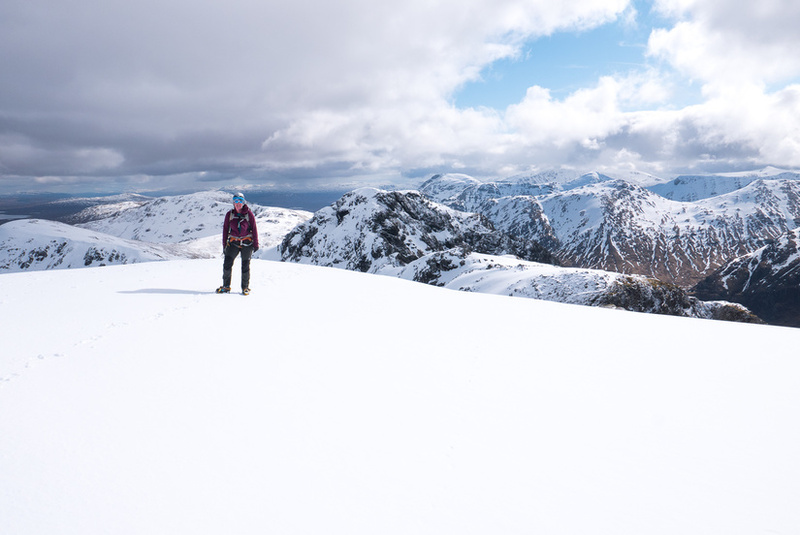 I enjoyed watching the RAF practicing their low level flying skills a long way below us in Glencoe as we were passed by a pair of C130s and a Eurofighter Typhoon. 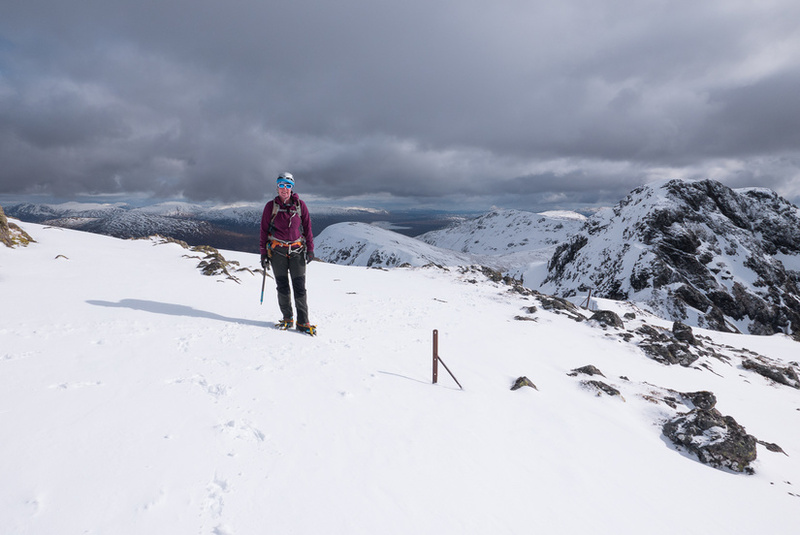 The descent was much quicker than previous attempts, as the beast from the east had loaded a west facing gully with snow which meant that we had a quick descent down to below 500m. 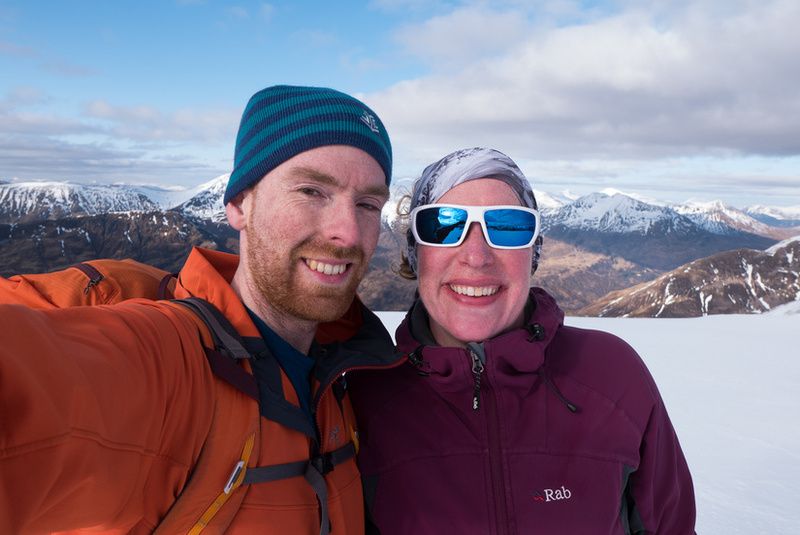 Unfortunately our attempts to hitch somewhat failed which meant we had a long walk back to the main road to retrieve the car.